It hasn’t even been released yet and the 2019 Ford Ranger is already creating hype! 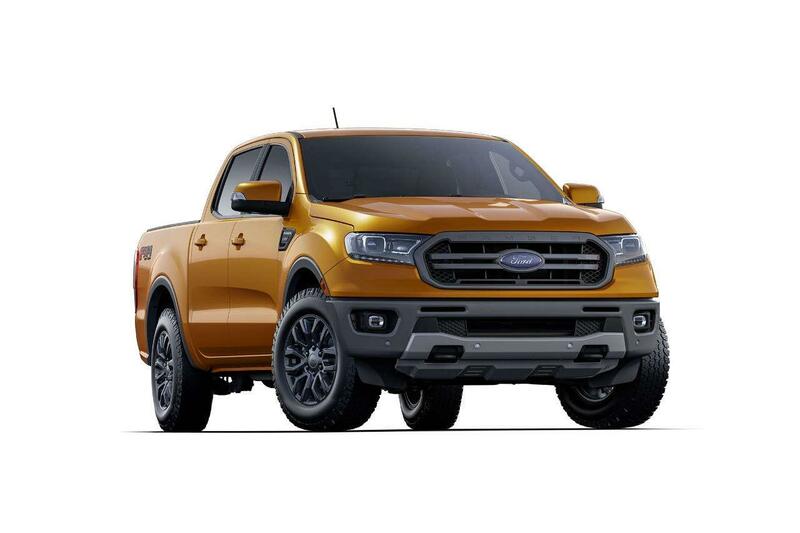 Some are calling it the “Ranger Reboot”, as a model such as this hasn’t been seen in almost ten years and Taylor Ford Amherst will have them in stock! We are giving you the chance to pre-order yours today, before they’re released and all gone! After almost 100 of Ford trucks, this is one of their best designs yet. The Ranger is tough, durable and capable of gliding over the roughest terrain. As Ford says, “the adventure begins where the road ends”. If it’s original design isn’t quite enough for your choice of experience, they are also offering an “Off-Road Package” to ensure your vehicle doesn’t hold you back from making only the best memories. The 2019 Ford Ranger sports a 2.3L EcoBoost engine with auto start-stop technology and a 10-speed automatic transmission. This “Reboot” is offered in XL, XLT, Sport, FX4, and Lariat versions, just another way to make it all your own. Not only is it made perfectly to handle rough terrain, but its features on the inside are just as impressive. Besides a number of truck-assist technologies, the Ranger offers a SYNC connect feature with an in-vehicle WiFi hotspot that can connect up to 10 devices. Worried about data usage? By using FordPass, you can keep track of this usage easily and often. Another feature? This hotspot can be accessed up to 50 feet away from the vehicle! This makes it a camping must-have! 2019 is a brand new year and a great time to invest in a brand new vehicle to explore in. If you’re interested in the newly released 2019 Ford Ranger, we want to help! We’ve got a pre-order form on our website and any questions can be answered by contacting us at the dealership! Just like everyone else, we cannot wait to see the new Ranger on the roads, or in the mountains, or in the snow, or in the desert…you get the idea – they will be everywhere.